My personal rules for making games. You may find them helpful? Made in the ever wonderful Bitsy Game Maker. 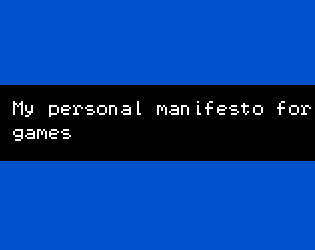 Made in about 20 minutes for Manifesto Jam. Most of that was thinking, very little of that was making.